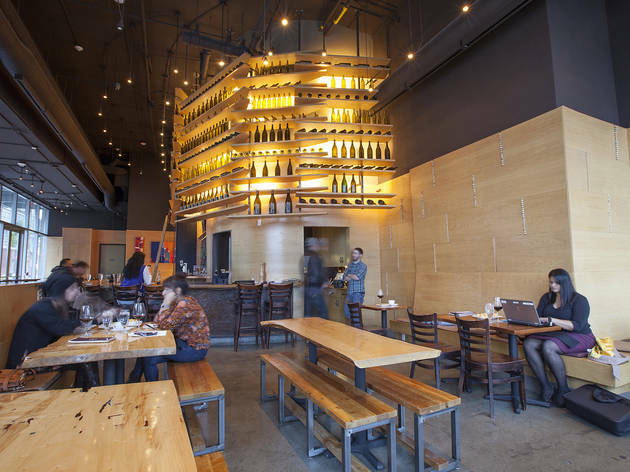 Locavore wine enthusiasts will find refuge at this hip Downtown wine bistro where the focus is almost exclusively on California wine. 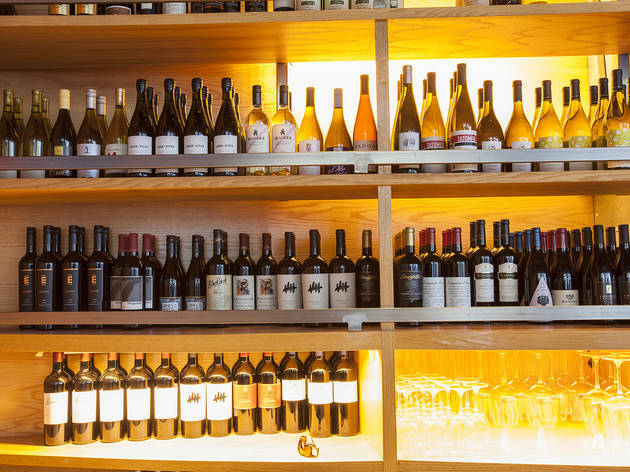 Roughly 70 wines by the glass, stored in temperature controlled fridges, showcase a range of styles from the great state—Central Coast, Napa Valley, Sonoma, Lodi, Russian River, et al.—has to offer. 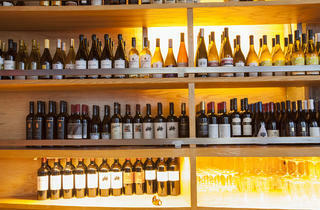 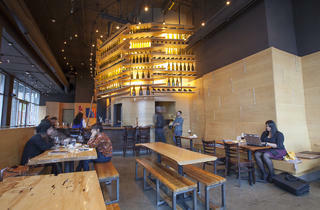 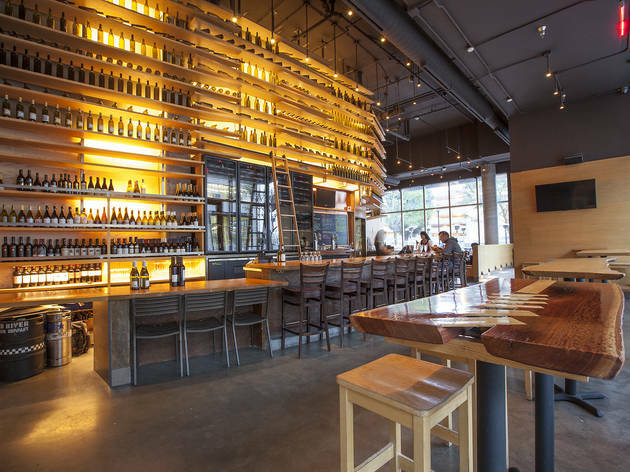 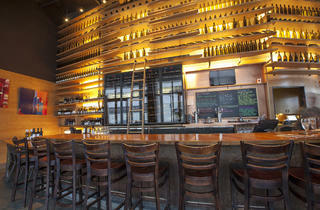 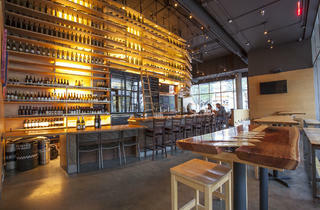 Collectors and winos marvel at Corkbar’s impressive two-story backdrop of shelves of carefully placed empty bottles in varying and alternating facings. 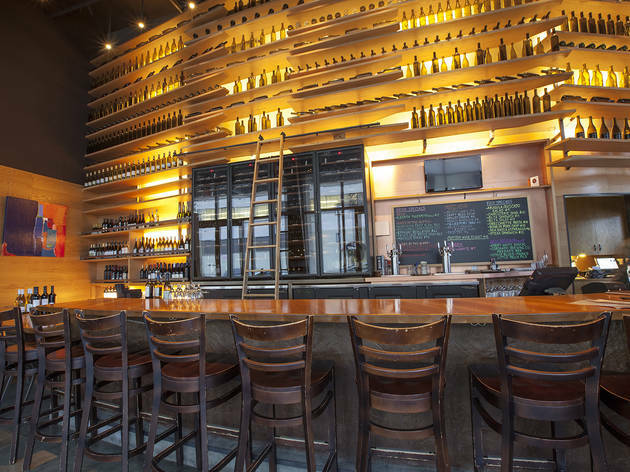 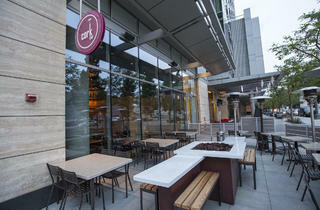 Downtown locals and nearby Staples Center and LA Live crowds take in the action at the bar as a knowledgeable and passionate wine staff help navigate the list and settle on a glass or bottle served in 28 ounce, bowl size glasses for optimal swirling and tasting. 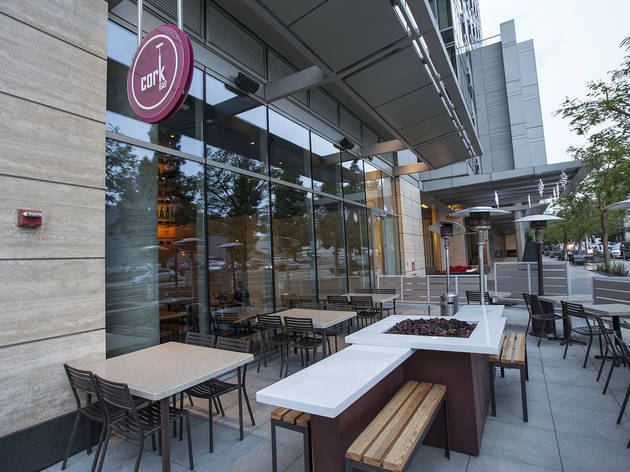 On a nice night, sit on the outside patio by the fire pit and sample the carefully designed menu of small plate pairing options like charcuterie, cheeses and sandwiches.